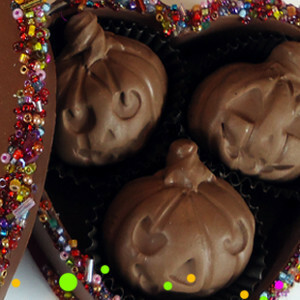 Are you like us and feel like the month of October has flown by? 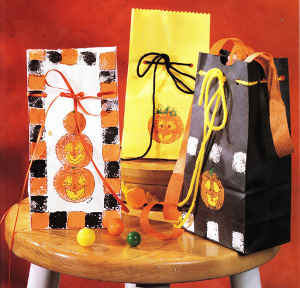 It’s gone by so fast and we’ve barely gotten enough Halloween crafting in! That’s when our best last-minute Halloween craft ideas come into play. 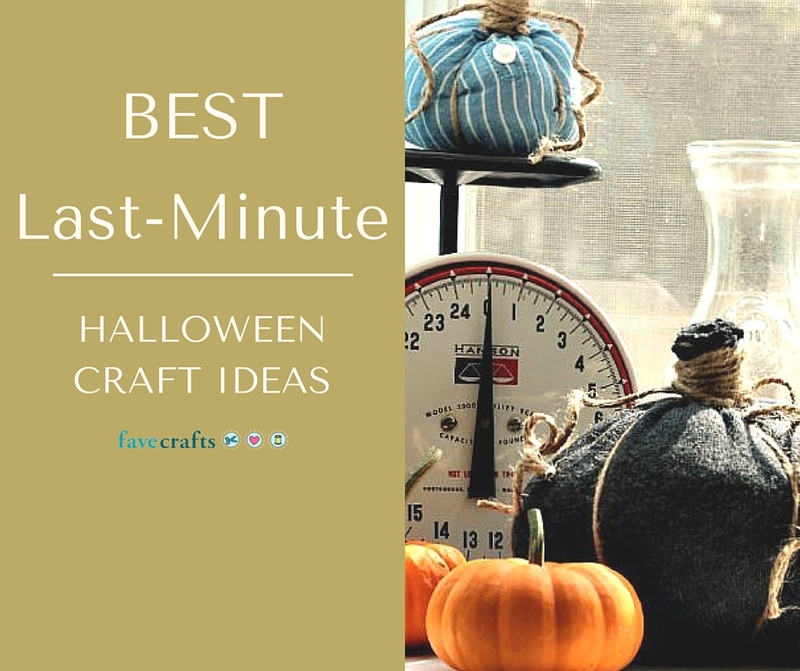 Whether it’s an extra DIY Halloween decoration for the home or just some festive crafting fun, these are the quick craft ideas we love! Among our list of last-minute Halloween craft ideas are no-sew costume ideas, homemade Halloween decorations, and easy printables. 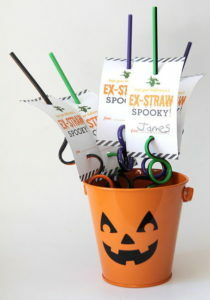 Some of these Halloween craft ideas are great if you’re planning a last-minute party or get-together. 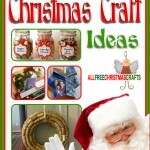 Simply put together a few of these quick and budget-friendly decorations and presto! You’re home is party-ready, and you can say that you put all of your crafting skills to work in order to make it happen. 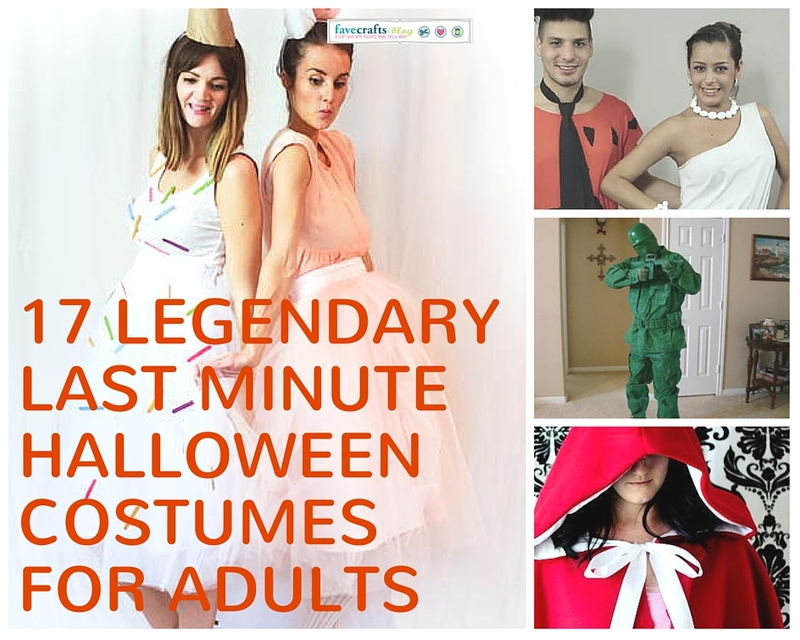 Genius Homemade Halloween Costumes: make these no-sew Halloween costumes when you’re in need of that last-minute costume! 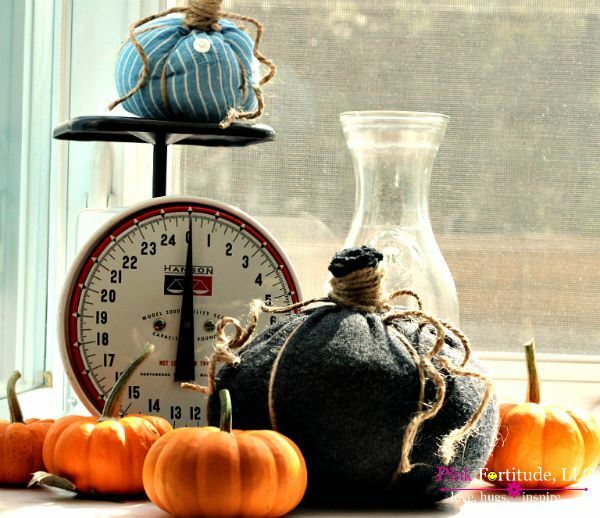 New Sew Repurposed Fabric Pumpkins: upcycle old fabric or scrap fabric from your stash to make these easy DIY Halloween decorations. 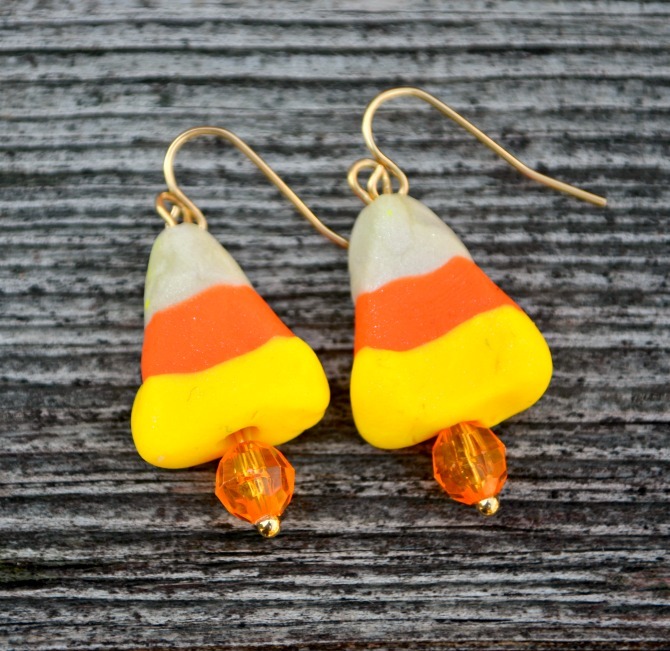 Candy Corn Polymer Clay Earrings: need to look festive on the last-minute? Make these beginner-friendly DIY earrings and you’ll easily look festive on the spot. 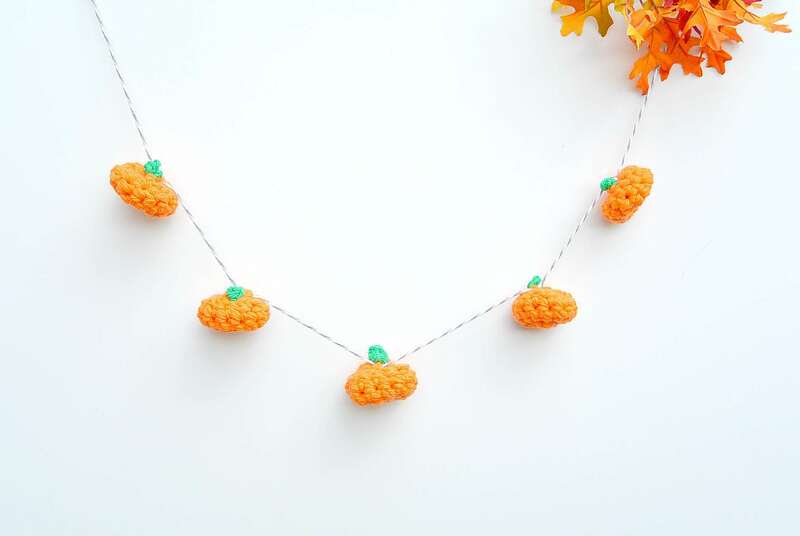 Little Crochet Pumpkin Garland: nothing makes your home look instantly festive more than an easy DIY garland. 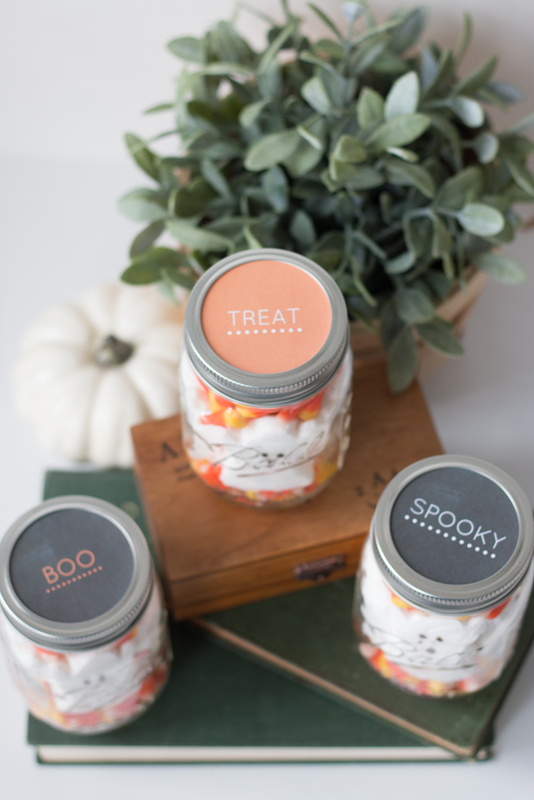 Halloween Mason Jar Treats + Free Printable Labels: ditch the bags for mason jars and use these adorable free printables for a unique way to hand out your Halloween treats. 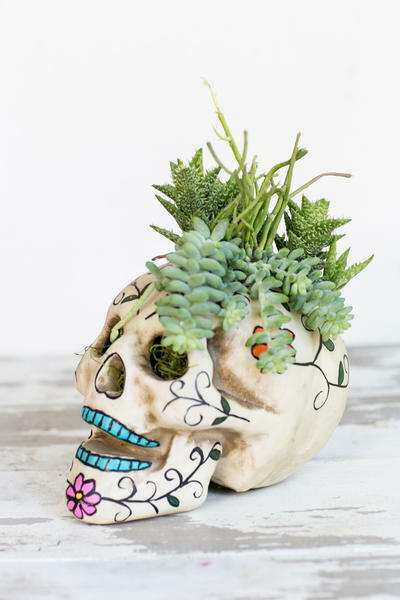 Easy Skull Centerpiece: not only are candy skulls on-trend, but succulents are even trendier. 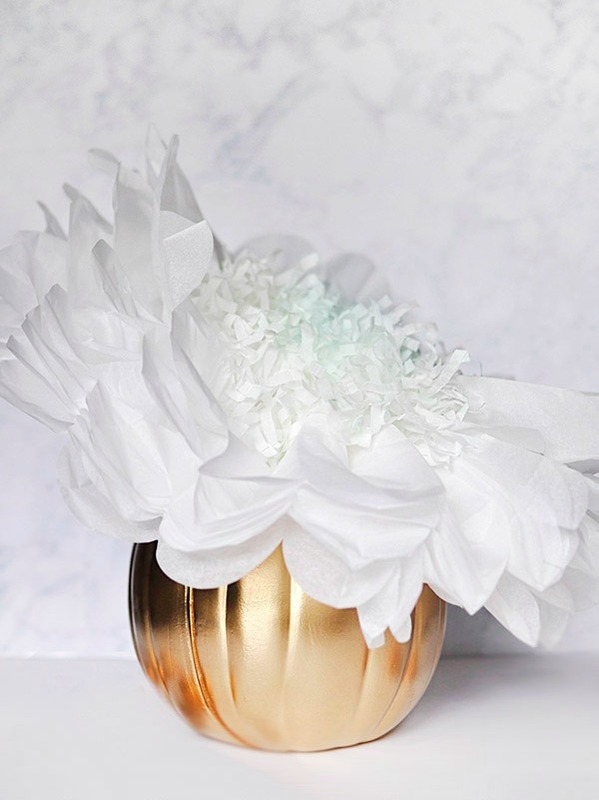 Make a chic DIY home decor piece with this easy tutorial. 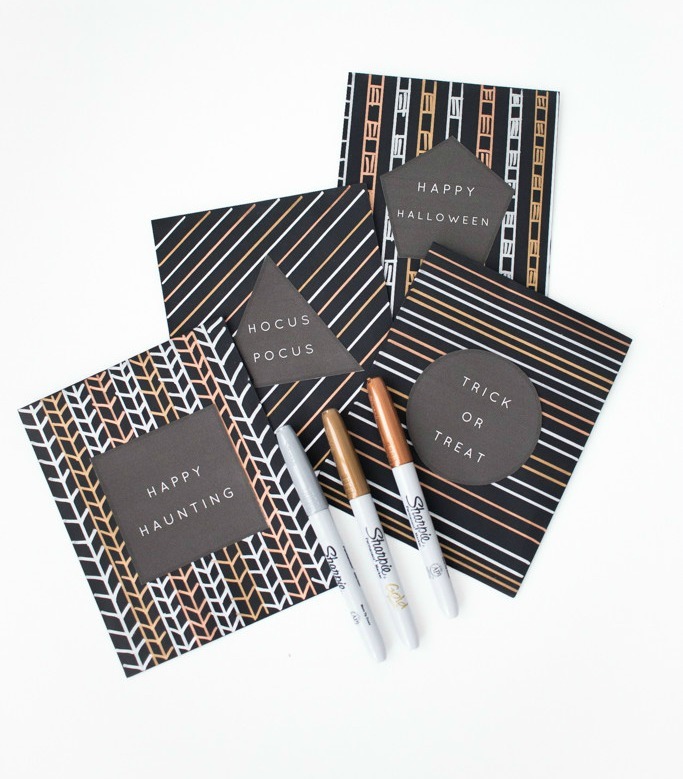 Metallic Sharpie Treat Bags + Free Printable Label: need a quick treat bag? 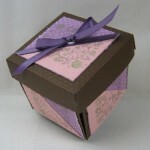 These free printables are so easy and quick, they’re a no-brainer! Trashbag Spiderwebs: really! Learn how you can use trashbags for a super spooky last-minute and budget-friendly DIY Halloween decoration. DIY Pom Pom Flower Pumpkin: so pretty and simple. You’ll want to display this homemade Halloween decoration all year long! 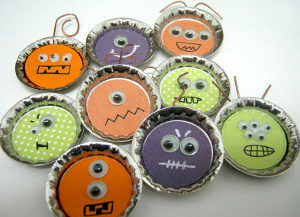 For more quick Halloween craft ideas, check out 25+ Halloween Crafts to Make at the Last Minute. What’s your best last-minute holiday or hosting advice? 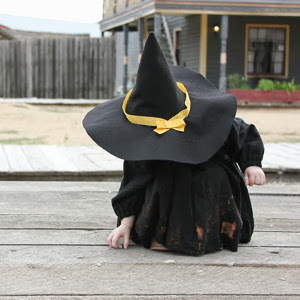 “Double, double toil and trouble; Fire burn, and caldron bubble.” Welcome the spookiest (and most fun) night of the year with witches’ chants, scary movies, and, most importantly, Halloween crafts for kids. Whether you know that spell from Shakespeare’s Weird sisters, from Mary Kate and Ashley’s movie of the same title, or just by hearsay, it’s iconic, bringing memories of Halloweens past rushing back. 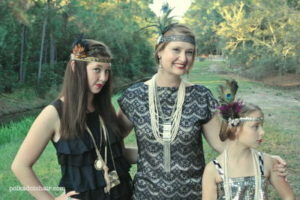 Make October 31st a special night for the kids by introducing them to the fun customs of the evening. Show them the best Halloween films, dress them up in their requested costume, and take them from house to house for a sugar rush. 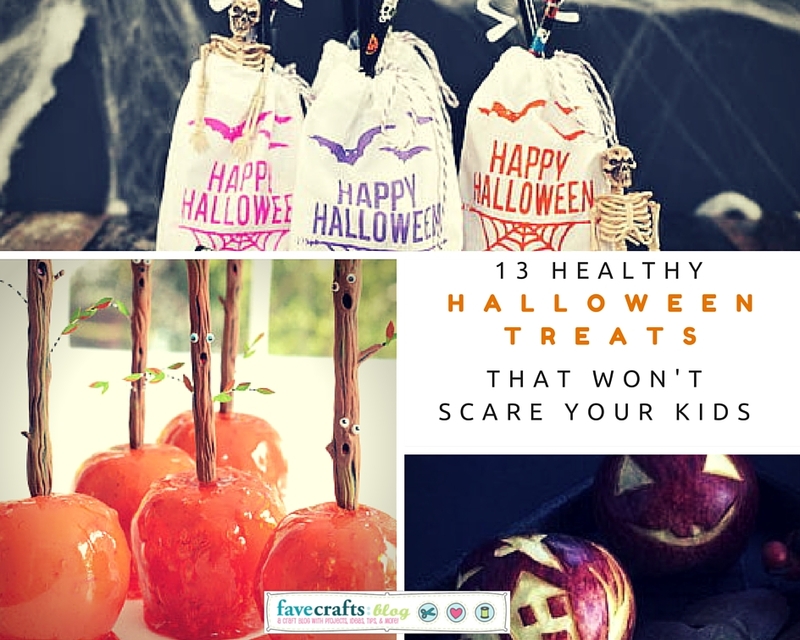 It’s simple to stay away from the creepy and keep with the slightly spooky fun when you follow the guide to a happy Halloween: 19 Halloween Crafts for Kids: Homemade Halloween Costume Ideas and Spooky Decor. All of the crafts in this ghoulish guide are appropriate, easy, fun, and thrilling, bringing Halloween back to an innocent celebration of imagination. This spectacular collection of crafts will give you ideas to keep the anticipation building throughout the fall, culminating in amazing eerie evening. 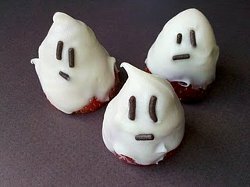 Forget those pop-up Halloween shops and keep the holiday inexpensive by crafting your own costumes and decorations. No one has ever won first prize in a costume contest wearing a store-bought ensemble. 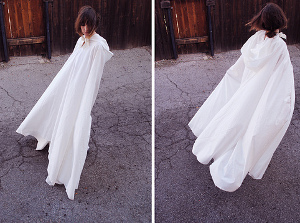 These ribbon-worthy homemade Halloween costume ideas are unique, guaranteeing that the judges take a second look. With this free eBook by your side, you’ll be ready to spook and smile the moment the clock strikes midnight (or when you wake up in the morning). Deck your house out in petrifying projects and dress yourself in clever costumes to make this Halloween the best yet. Attract trick-or-treaters from near and far with the best Halloween decorations your neighborhood has ever seen. 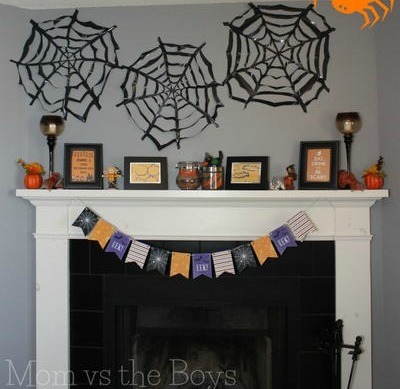 The best part about these dark decorations is that they’re all extremely inexpensive to make, keeping more money in your pocket for important things like candy. 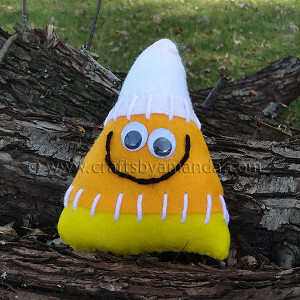 Your awesome decorative Halloween crafts will slightly scare guests, and then cause a bunch of giggles when they find out what your projects are truly made of. 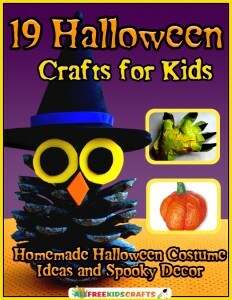 We’ve got pumpkins, witches, goblins, ghouls, ghosts, and skeletons covered in 19 Halloween Crafts for Kids: Homemade Halloween Costume Ideas and Spooky Decor, so no important Halloween symbol will be left out. Craft all of the decorations in this free eBook, and you’ll be ready to accept the award for coolest house on the block. 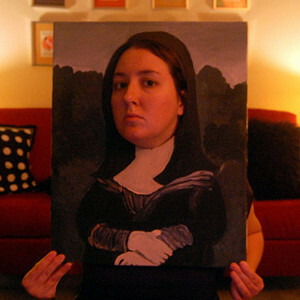 There’s no way your Halloween will be complete without an awesome homemade Halloween costume. Luckily, we’ve taken care of the hard part: thinking of original ideas that will make you stand out from the crowd. All that’s left to do is assemble your Viking, princess, superhero, or pig, and that’s easy as can be. 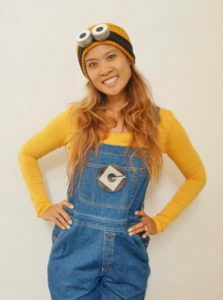 Simply print out the tutorial and follow the simple steps to Halloween costume contest victory. 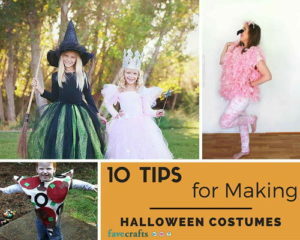 There are costume ideas for absolutely every type of kid in this great guide, so don’t worry about having to wear the same costume as your brother. 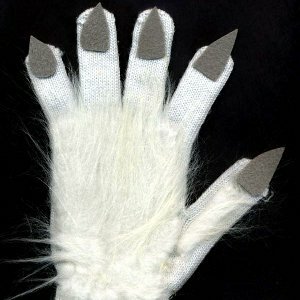 Impress classmates, friends, and fellow trick-or-treaters with your out-of-this-world, unique, homemade Halloween costume ideas. 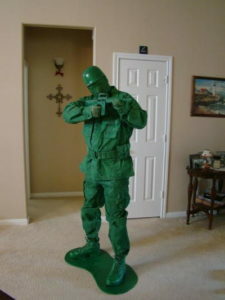 What is the best Halloween costume you’ve ever seen/worn? Prime Publishing Editors: In Costume! 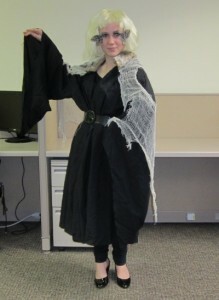 The Prime Publishing office held a little costume contest today in honor of Halloween! 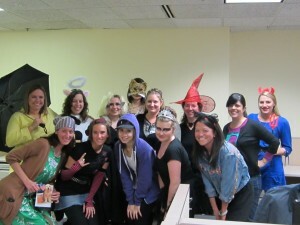 We all dressed up in costumes, some DIY, some store-bought, and some in-between. Which costume is your favorite? What did you dress as this year?